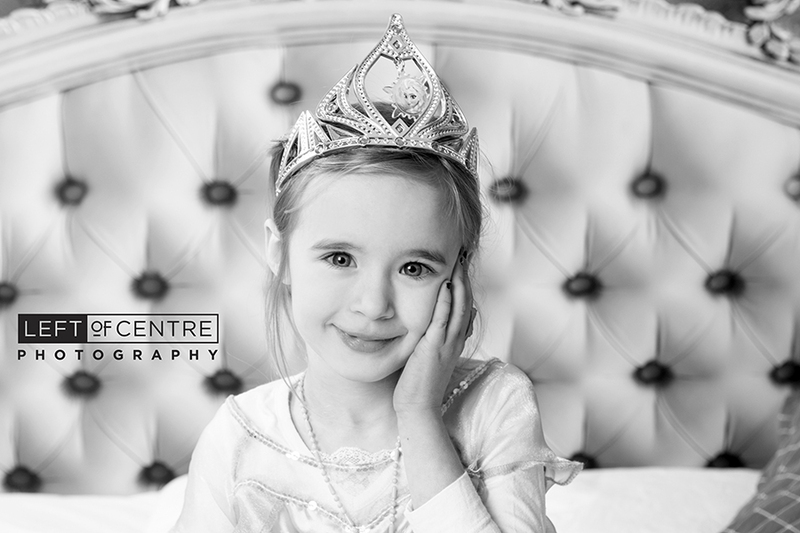 Want to know the best way to make your princess feel like an actual princess on her 5th birthday? 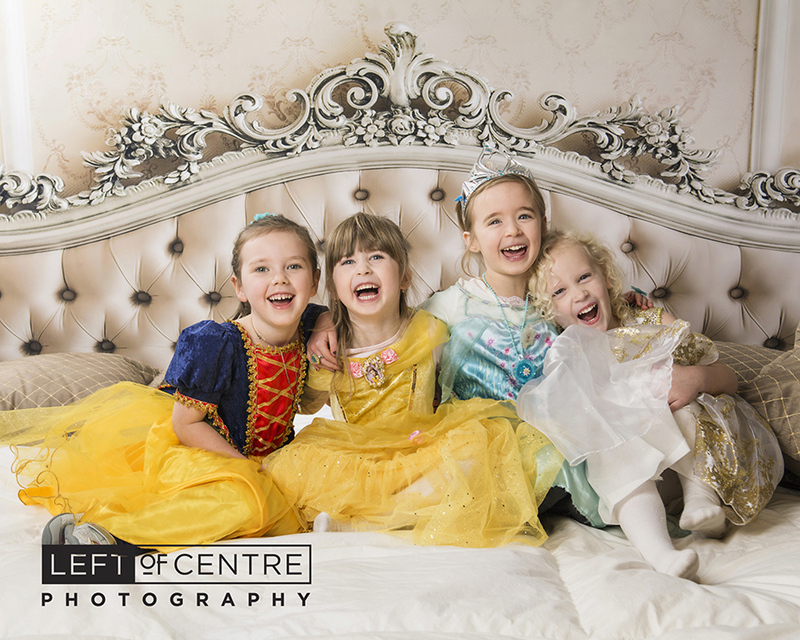 Do what Hailey’s Mom did and invite 3 of your princess’ best pals, get them all dolled up as their favourite princess, take them to get their nails done, and then off to a photographer to have their own time to shine in the spotlight! 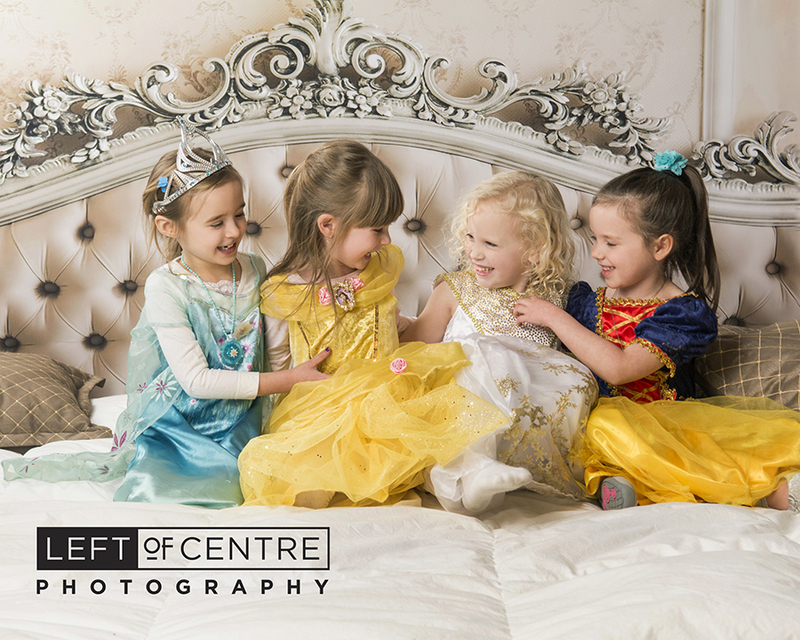 We had so much fun with Belle, Snow White, The Ice Queen, and Queen Elsa! 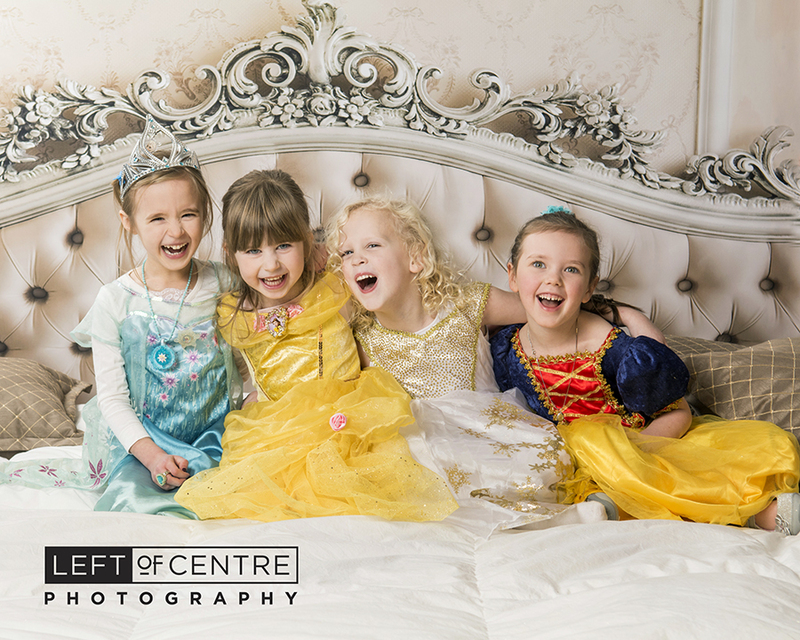 I had an absolute blast photographing these giggly girls and you can see just how much fun they had in the photos. 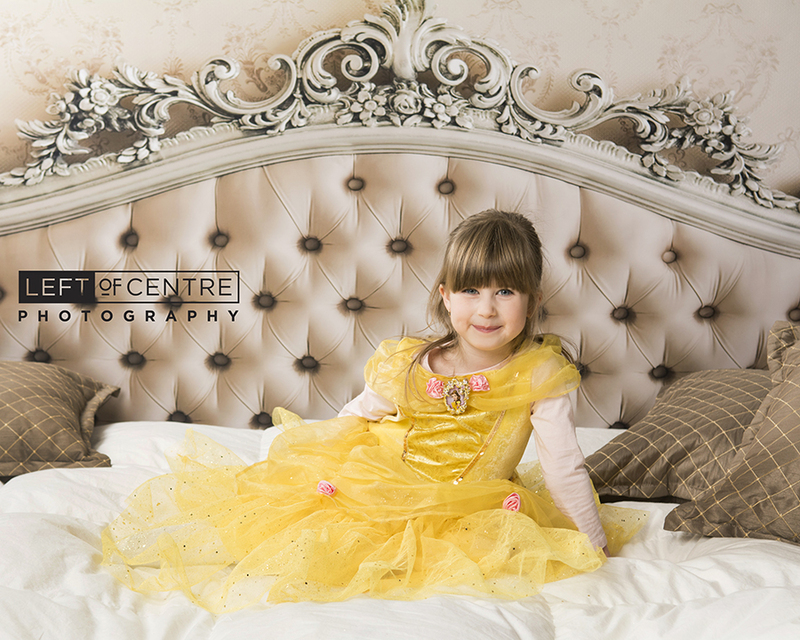 I really loved using our new bedhead background for this and it gives these princess’ the regal look they deserve! 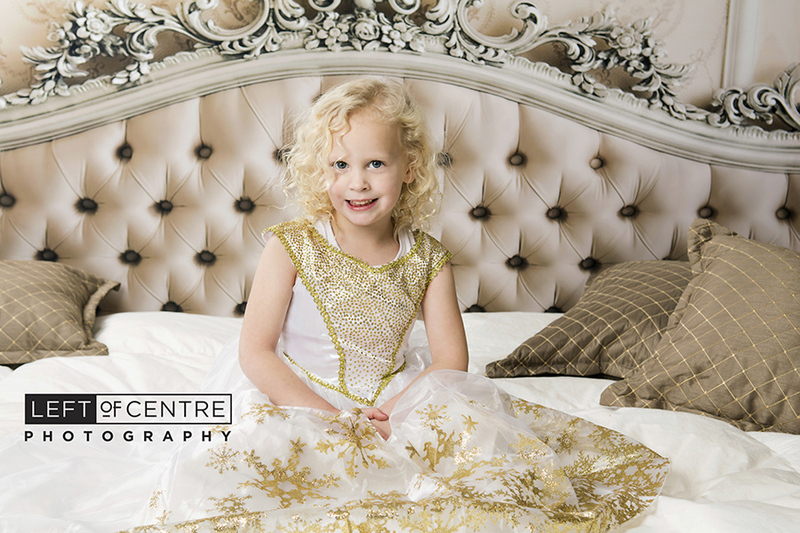 Not only were we able to take photos during Hailey’s party, but with some teamwork each girl got to go home with her very own photo, you can’t get much more special than that! This is one of the best parties we have been a part of and I am taking notes…. 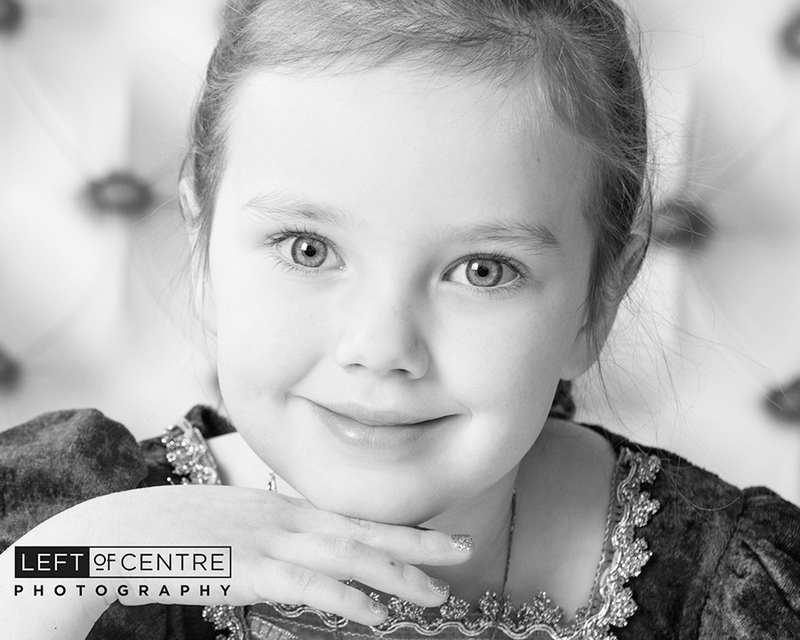 my daughter’s 6th birthday is coming up…. I guess I better get on that! First, I need to vacuum more sparkles that have managed to travel all over the studio, wish me luck! 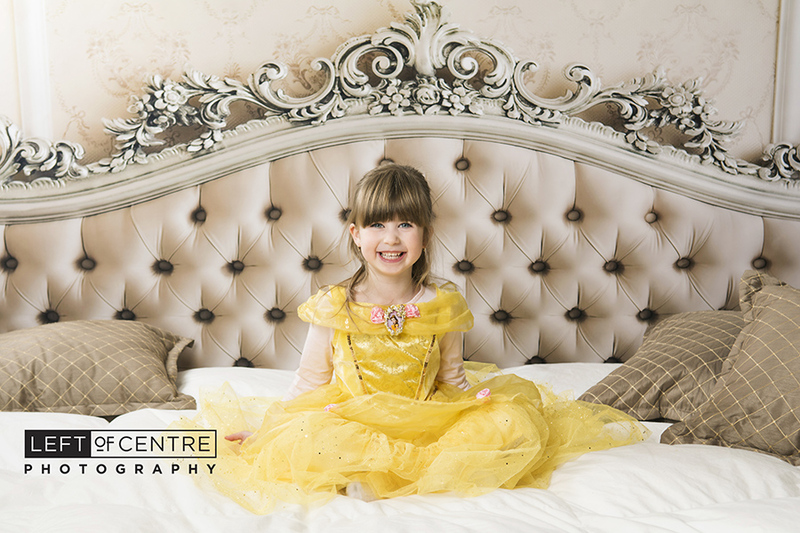 P.S.- Is your princess having a birthday? 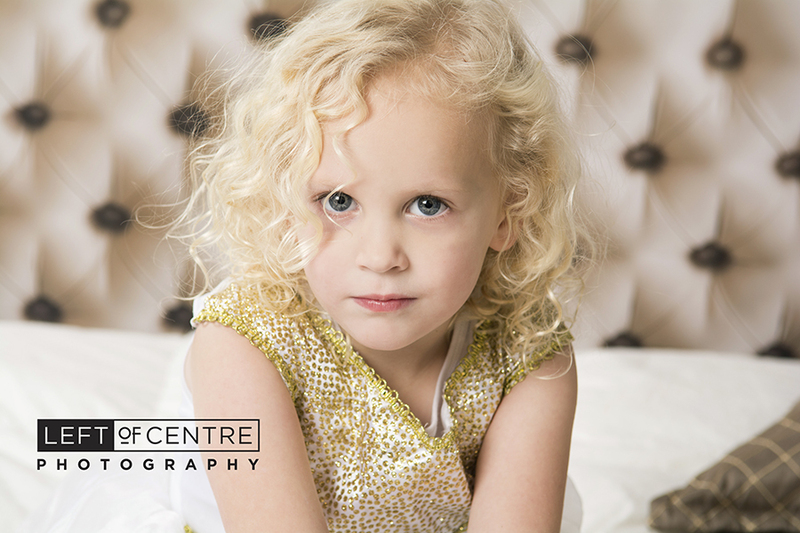 Allow us to help make her dreams come true!